Jonathan Wolfsohn - Wolfsohn Accounting and Advisory Services, Inc.Wolfsohn Accounting and Advisory Services, Inc.
Jonathan Wolfsohn is the owner and principal of Wolfsohn Accounting Services, Inc.
As a child, Jonathan was an avid chess player and believes this contributed to his business acumen. In high school, he was on the cutting edge of emerging computer technology, taking a multitude of computer courses which were in their infancy. Jonathan graduated from SUNY Albany with a Sociology and Political Science BA in 1977 and settled in Manhattan. His first job was as a management trainee at Branch Motor Express, a national freight company with 84 terminals. Within 4 years, he progressed to Manager of Revenue Accounting. Under his direction the company amassed 60 union staff members, an evening crew, and a freight bill microfiche dept that Kodak used as a financial management and sales demonstration of their equipment. 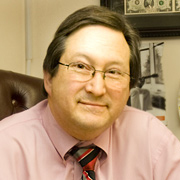 During this period, he attended CUNY Baruch College and graduated in 1983 with a Masters in Finance and Taxation. Also at this time, he worked nights and weekends at H&R Block, managing their Seventh Avenue, Fourteenth Street branch. After a short stint as Controller of the American Banker, Bond Buyer Newsletter companies on Wall Street, he followed his mentors to Congress Factors and Financial as an Assistant Controller. This firm, owned by PNC Bank, was eventually purchased by CIT Financial. During this period he built his own tax practice. While an accountant and tax preparer, Jonathan attained a Certified Financial Planner (CFP) degree, Enrolled Agent (EA) status with the Treasury Dept, Real Estate Broker’s license, a Licensed Insurance Agent, an Accredited Tax Advisor (ATA), and a Registered Investment Advisor (RIA). He has served on many non profit Boards in advisory and officer capacities. He has incorporated, built and sold many businesses, and has lectured to a variety of organizations. Jonathan Wolfsohn has been selected as an alternate member of The National Taxpayer Advocacy Panel (TAP) of the Internal Revenue Service. The panel is a federal Advisory committee established under the authority of the Department of the Treasury to provide input on the improvement and organization of the IRS. Jonathan works at the Lynbrook, Manhattan and New Jersey offices.